Classified as one of the best fourteen fashion photographers by Stern magazine, Gian Paolo Barbieri is one of the most influential international photographers of the last sixty years. His work has filled for whole decades the pages of Vogue Italy, Vogue Paris and Vogue America, together with innovative advertising campaigns for Gianni Versace, Giorgio Armani, Yves Saint Laurent, Gianfranco Ferré and Vivienne Westwood. Of recent, it institutes the homonymous Foundation with the reason of promoting the historical and contemporary photography and each another shape of cultural expression in his different carrying out. Graduated in Sciences of the Communication at the Jorge Tadeo Lozano University, Bogotá, he possesses a career as Account Executive from Foote Cone & Belding of Bogotá, a professional run between Florida and Paris. In 2007 he has held the position of General Director at the Barbieri Studio of Milan and from the constitution of the Foundation as Vice President. Since 2016, he is also a member of the Scientific Committee of the Cultural Association Obiettivo Camera (Camera Objective). Milanese designer, being born from a family of creative talents starts her working career immediately after getting a job for graphics projects at her father’s studio, Renzo Barbieri, famous writer and publisher. At present with operative base between Milan and Indonesia, she manages her enterprise of success, created in her youth, thanks to her entrepreneurial character, travels around the world, animated by the strong interest in knowing different and far-reaching cultures. She draws and produces collections imported in the whole world co-operating with great companies like Boffi and Pomellato. Her work is published in magazines such as Elle Decor, Marie Claire Maison, Bali Houses and Elle America. She performs interior design projects for the residences for leading international artists between Milan, London, Indonesia and New York. Graduated in Letters and Philosophy with specialization in Art History and Performing Arts at the University La Sapienza of Rome, and subsequently a Master in Cultural Events Organization at the Cattolica University of Milan, collaborates with the press office of the Venice Bienniale before starting a new partnership in London aimed at the integration and marketing of French artists in the market. In 2014 she returns in her hometown, Turin, where, inside the multi-family office Tosetti Value S.I.M., she guides the division for the art, observatory of connections between art and economy. Between the projects, “Money!”, publication that reconstructs the relations between the artistic landscape and the economic system on the globalized world, the perspectives in which the contemporary photographic research meets with the macro-economic study. After completing his master’s degree in Art History with Giovanni Agosti, at the Università Statale of Milan, starts his career inside the Giovanni Testori Association, responsible publishing and web communication. In 2011 he enters the world of art publishing in the ranks of Skira, followed by other projects for companies like – Lamborghini, Ferrari, Aston Martin, BMW, Vitale Barberis Canonico and Ferrero. Since 2014, he is responsible for the relations with the Institutions, Private Entities and the sponsors for the art-publishing house Silvana Editoriale, for which he co-ordinates publishing projects tied to the world of the art and of photography in particular. Serbian artist, producer and photographer based in New York, boasts of a prestigious study run at the School of the Art Institute of Chicago. His most important work, Letter to My Mother (2015), inspired by the battle of the mother against cancer and addictions, opens to the public through a photographic book and a self produced documentary film, earning prizes as Best Short Documentary 2017 at the International Film Festival of Madrid and Best Artist and Producer for Letter to my Mother 2017 at Lone Star Award, Texas. His last project, Flowers of My Life (2016), born through the collaboration with Gian Paolo Barbieri, his mentor since his inception, debuts during the Milan Fashion Week, praised by the most important international headlines. His works are acclaiming worldwide in magazines like Interview, GQ UK, Vogue Homme Japan, Elle and Flant. Graduated in law to full vows at the Università degli Studi of Milan and enrolled to the Order of the Lawyers of Milan 1993, he is specialist in the field of image rights, dealing with all aspects relative to contract management. 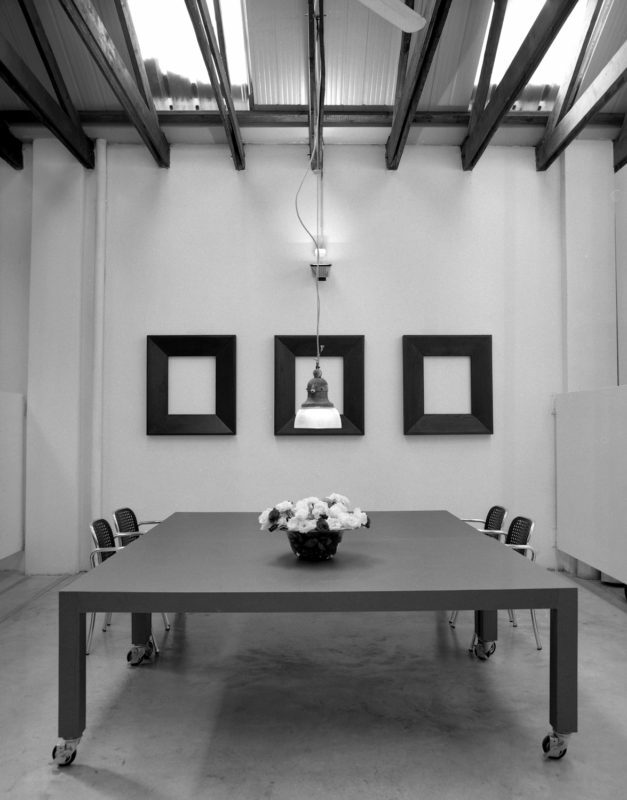 Ripened by a solid experience at the Rucellai and Raffaelli studio, and later at the Dietrich studio, he opens his legal firm to Milan in the interest of the Italian and foreign clients. Associate Senior at Osborne Clarke Milano, 2001 he entered to the Notice Board of Doctors Experts in Commercial Law and Accounting Experts of Milan and the Register of Legal Revisers. Specialized in budgeting, fiscal advice, expert evaluation, legal and bookkeeping revision, tax administration department, international taxation and liquidator’s activity, also acquired experiences as assistance administrative for non-profit companies, associations and foundations.